Outta sight! The groovy 1967 IN FILM Blogathon starts Friday, and runs through to Sunday. We and The Rosebud Cinema will be providing a recap of each day’s entries starting Friday evening. There’s still time to join in, if you’re interested. 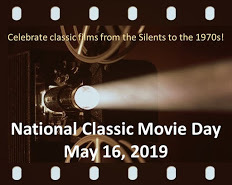 For a list of films released in 1967, click HERE – and be sure to take a banner from the gallery at the bottom to post on your site. Here’s the list of participants. Please let us know if we’ve forgotten anyone or if we have an incorrect movie. We are SO JAZZED, man! Questions? Comments? Wanna rap? Leave a comment below or email 925screenings [at] gmail [dot] com or therosebudcinema [at] gmail [dot] com. Got it! I have updated the link in the table. Boy, I don’t have time this weekend, otherwise would have loved take part in blogathon. Great job with this, I enjoyed reading these reviews. One thing though, where’s Gunn? Ack! You’re right! We don’t have any Blake Edwards in this blogathon.